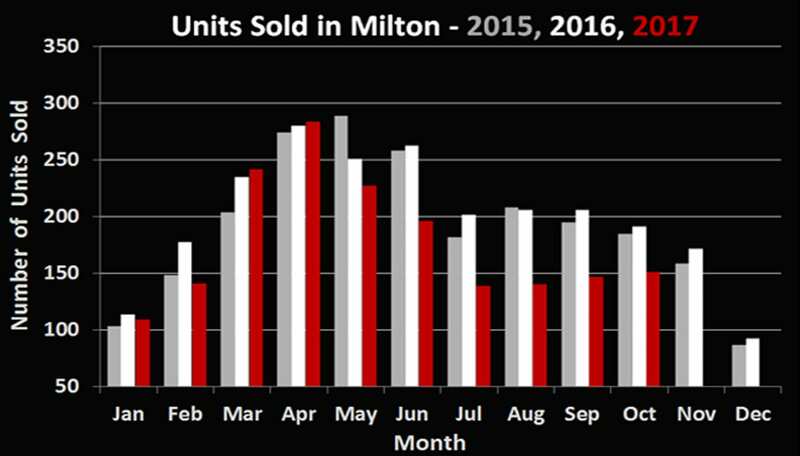 Milton’s 151 residential sales in October 2017 represent a decrease of 27.2% in volume when compared year over year. 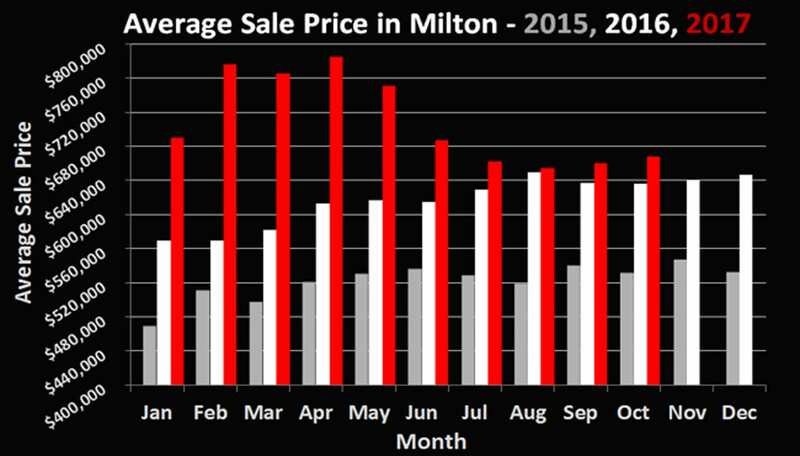 The average price of $667,700 is up a modest 4.9% when compared to the figure in October 2016. Though prices are up roughly 1% over the last month, market uncertainty due to recent interest rate hikes and looming mortgage changes is evident. Earlier this month, it was announced that in 2018 ALL home buyers in Canada will have to undergo a “stress test” when applying for a new mortgage. Buyers will have to qualify at the lower of the Bank of Canada 5 year fixed rate (currently 4.89%) or 2.0% higher than the rate of the mortgage product for which they are trying to qualify. Previously only buyers putting down less than 20% and requiring mortgage insurance were subject to this condition. This new announcement figures to mostly impact existing homeowners looking to make their next move. A silver lining to this announcement is that industry insiders expect interest rates to now remain stable for a little while longer while the government analyzes the effects of their latest move to cool the market. If you have any other questions about how the new regulations may apply to you, or about anything real estate related, don’t hesitate to give us a call. We’re never too busy to chat!